This is one of many exclusive Mindprint guides found in the FREE Parent & Teacher Resources section of the Mindprint website. We hope it makes your app selection choices much more successful. 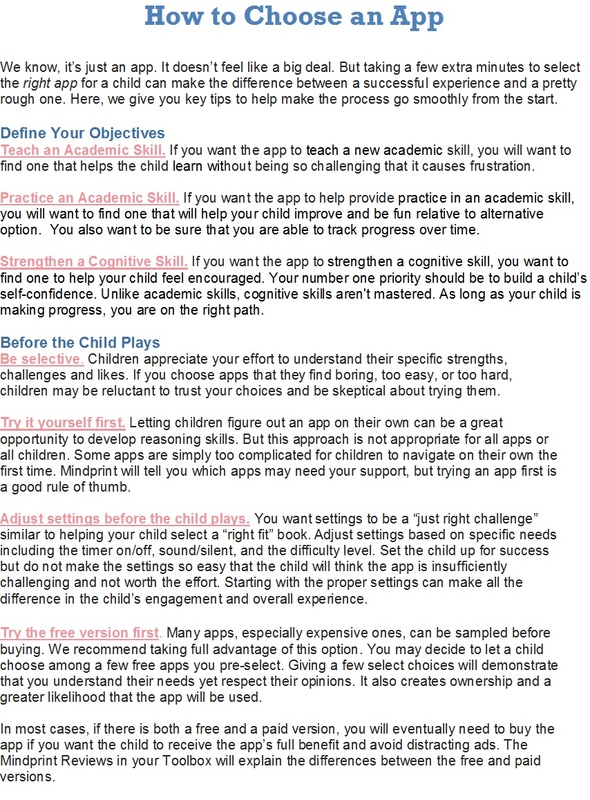 If you’re looking for an app to improve academic, cognitive, or social-emotional skills, sign-up for a free Toolbox with detailed reviews of over 2,000 learning strategies, apps, websites and games.